A reminder that whenever you travel your horse its passport MUST BE WITH YOU. Trading Standards are doing roadside checks and have been warning offenders. But in the near future breaches will result in a large fine. DON’T GET CAUGHT OUT. For those interested in representing the club at BRC Qualifying competitions it is essential that you ensure your vaccination records are up to date and conform to the rules. Briefly this means that the horse must have had the Primary Vaccinations of two injections with the second being administered between 21 & 92 days sfter the first. After this the first booster must be given between 150 & 215 days after the second primary injection. Annual booster thereon must be given in NOT MORE than 1 year after the preceeding injection. In addition to this NONE OF THE INJECTIONS maybe given within the PRECEEDING 7 DAYS. 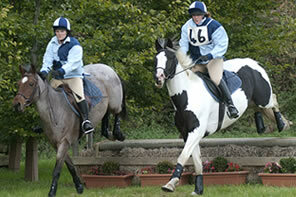 This time includes the day of the competition OR ENTRY INTO COMPETITION STABLES. It seems complicated but the rules are there for horses protection. If you have any doubts contact the Team managers Lorraine Burwood or Corinne Bullock or check the BRC Rule Book. Next post: INFORMATION – Events coming up, Contact details, Rules, how to join Teams etc. in 3 days and 01:53 hours. in 10 days and 01:53 hours. in 17 days and 01:53 hours. in 30 days and 01:53 hours.